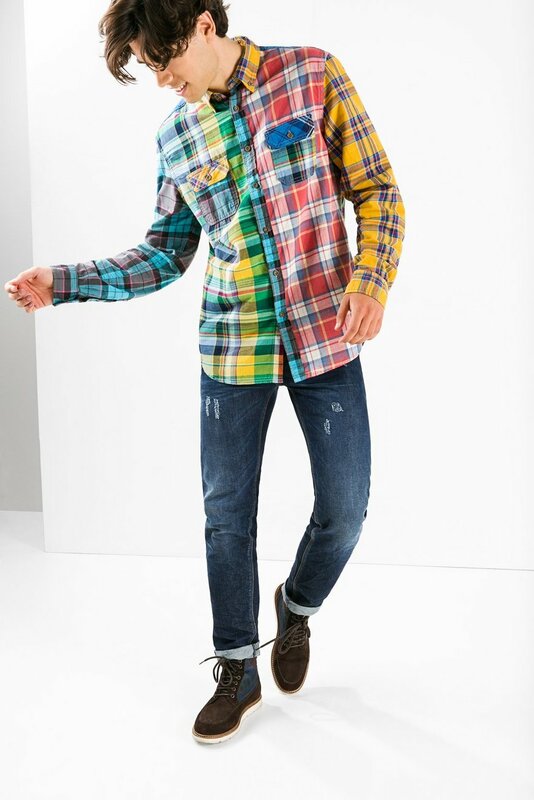 Desigual MIXX flannel shirt for men with bold plaid, $135. Fall-Winter 2015. Desigual LUCA red quilted hoodie with black sleeves. $166. Fall-Winter 2015. Desigual BLUE WAVE winter jacket for Fall-Winter 2015. $$309. 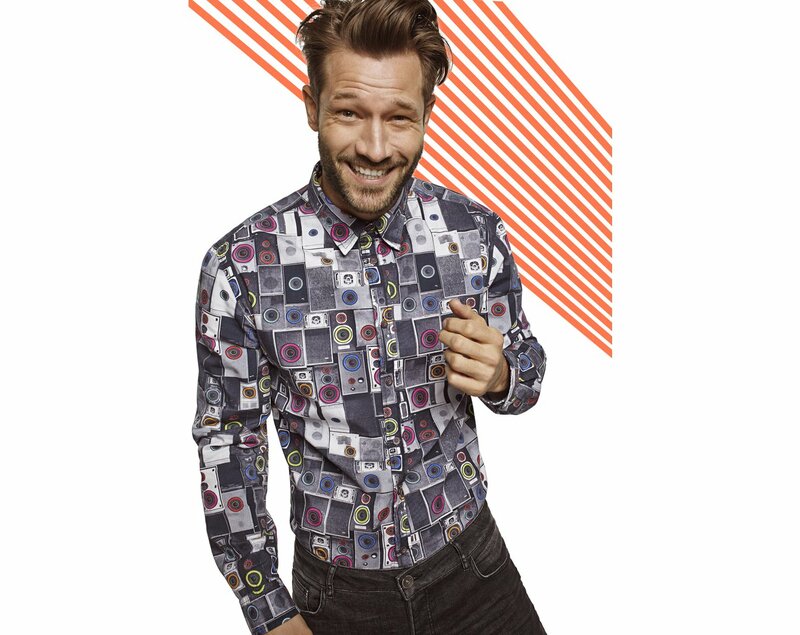 Desigual ALEX shirt. $109. Fall-Winter 2015. 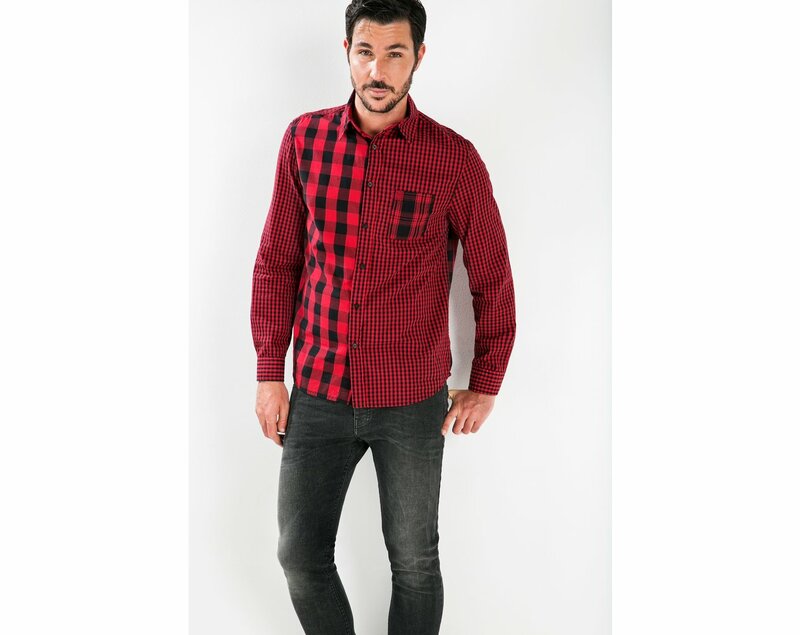 Desigual MANALOCO shirt. $109. Fall-Winter 2015. 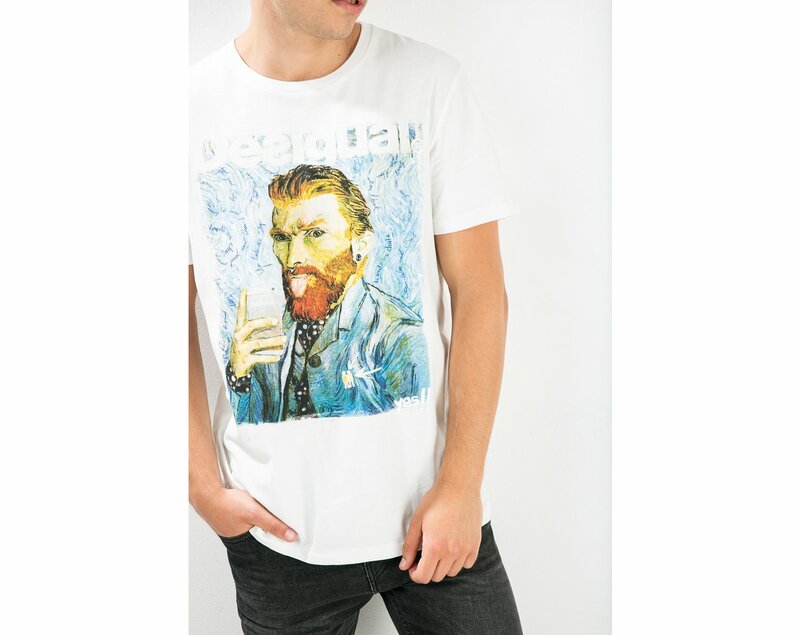 Desigual SELFIE t-shirt. $65. Fall-Winter 2015. 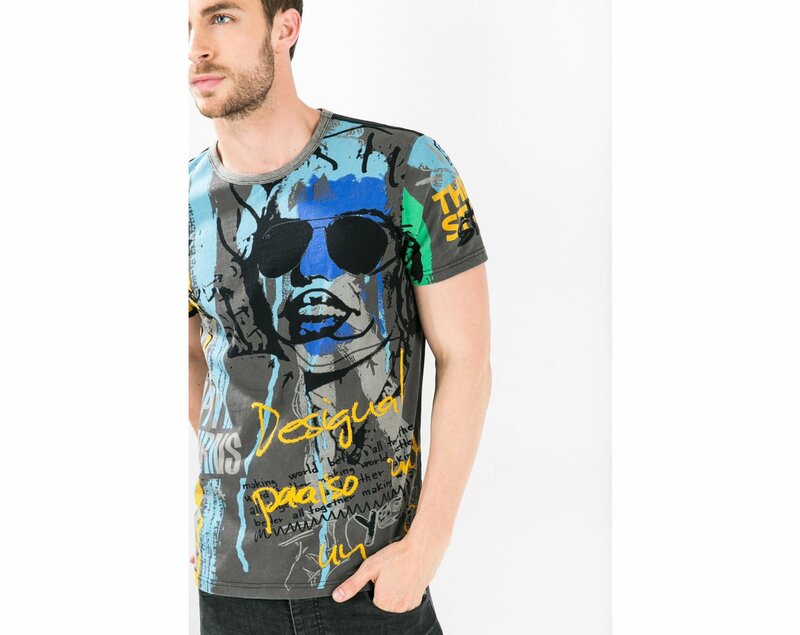 Desigual ETNO T-shirt. $65. Fall-Winter 2015. 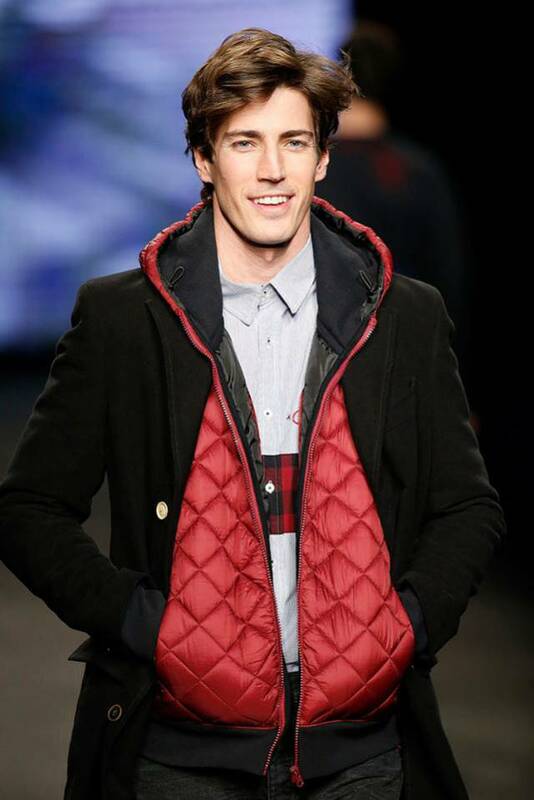 Desigual WINNER overcoat for men, Zip-out quilted liner with knitted collar. $365. Fall-Winter 2015. 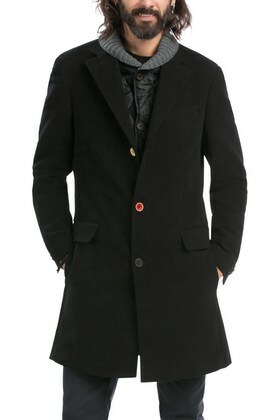 Desigual men’s overcoat. Fall-Winter 2015 collection. 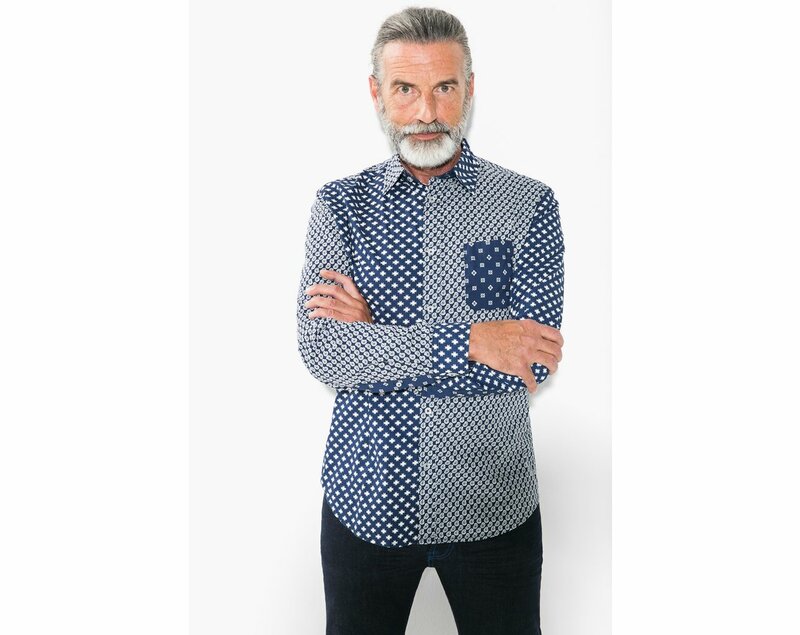 Desigual JOHN SEATRAVEL T-shirt with long sleeves and button cuffs. $109. 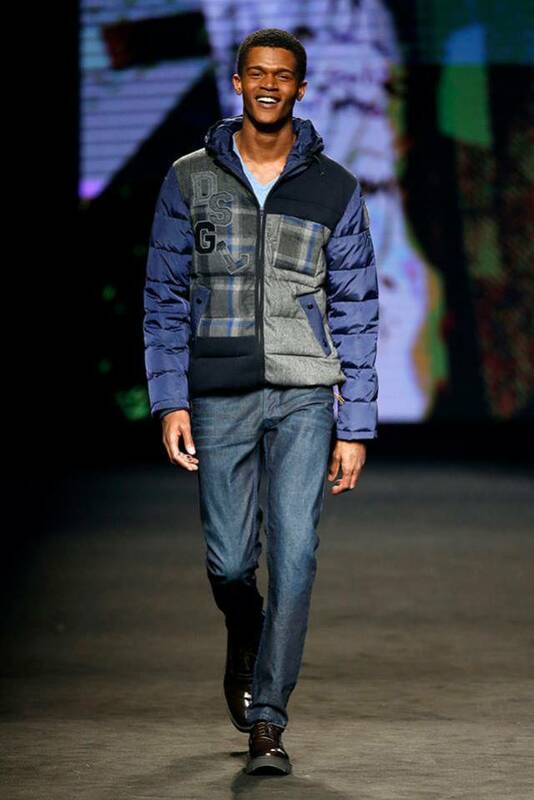 Fall-Winter 2015 collection for men. 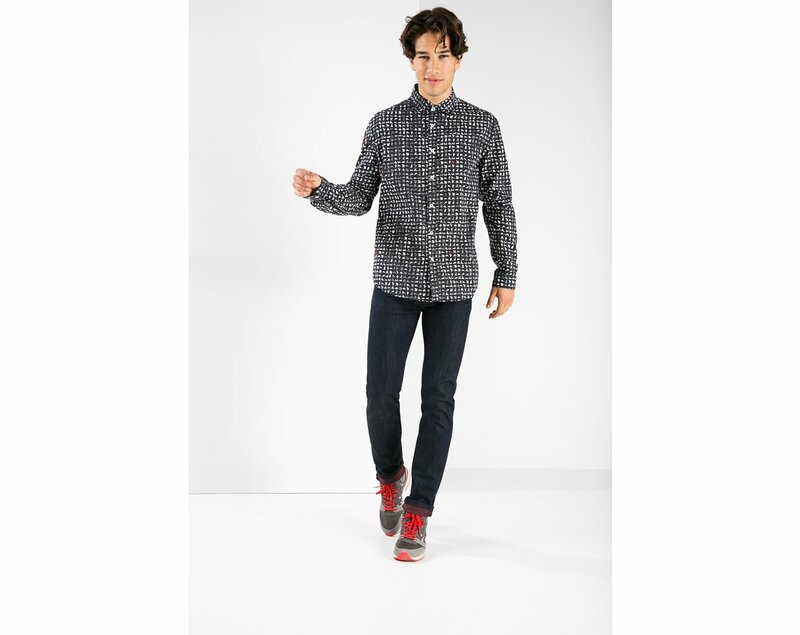 Desigual JOHN SEATRAVEL t-shirt, showing button-up sleeves. $109. Fall-Winter 2015. 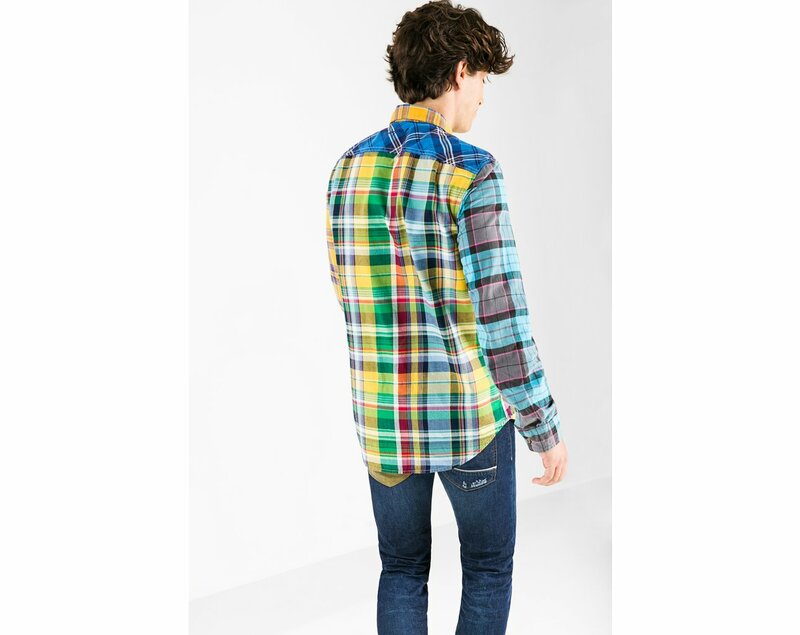 Desigual MIXX2 flannel shirt, showing back. 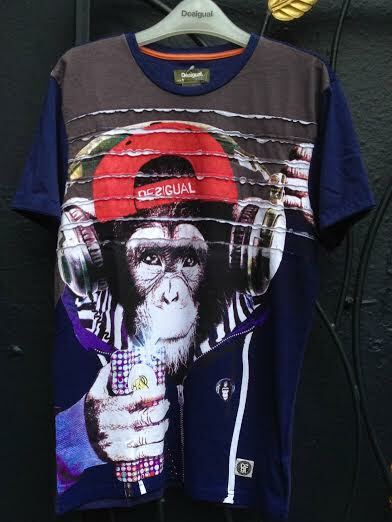 Desigual FACE monkey shirt. $90, Fall-Winter 2015. 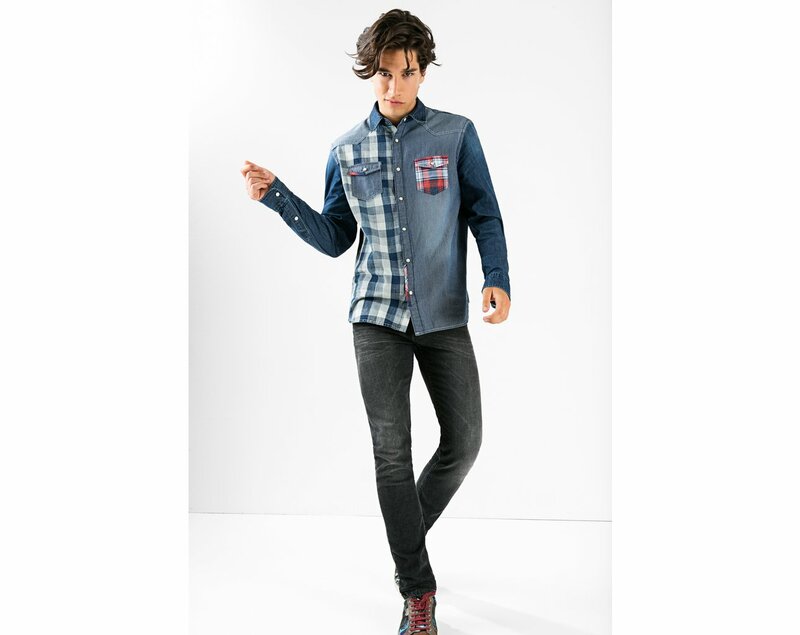 Desigual SALVA shirt for men, $126, Fall-Winter 2015. Desigual DECONSTRUCTED REP t-shirt. $90. Fall-Winter 2015. 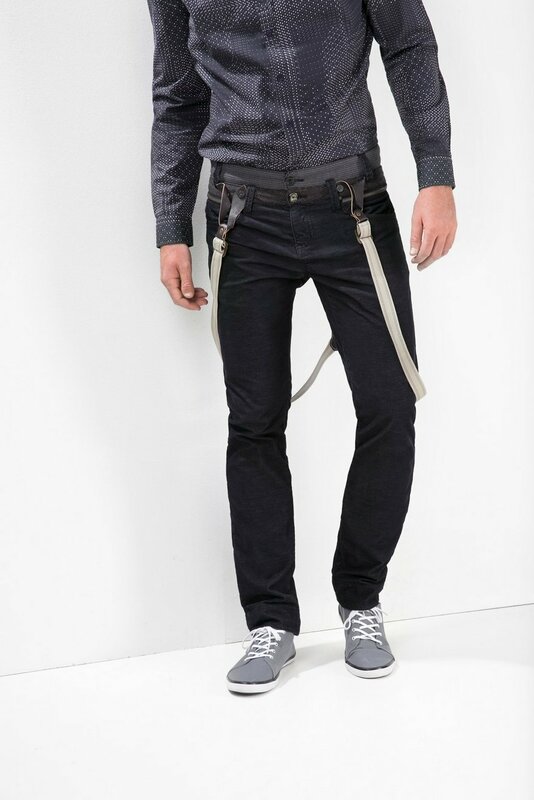 Desigual BLAIS cordouroy pants with removable suspenders. Additional colours: Green & Brown. Close-up of Desigual CAMASUTRA shirt. $109. Fall-Winter 2015. 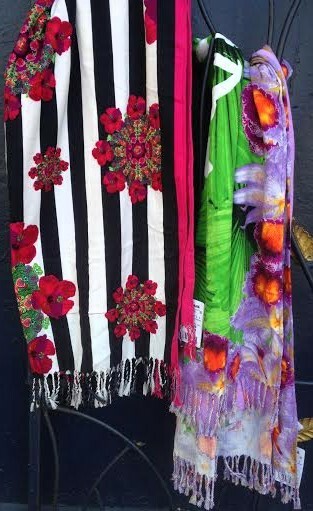 Angel Vancouver has the largest selection of the Barcelona brand Desigual in Western Canada. We carry Desigual for men, women and kids. We also have new Desigual umbrellas, Desigual towels and Desigual travel kits. We ship worldwide. 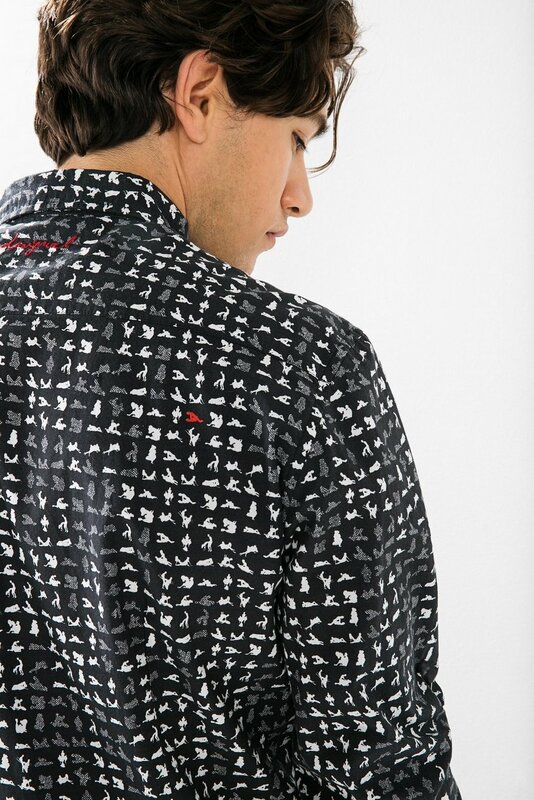 This entry was posted in Desigual, Desigual for men and tagged Angel Vancouver, Desigial for men Fall-Winter 2015 collection, Desigual CAMASUTRA shirt at Angel Vancouver, Desigual in Canada, Desigual Vancouver Canada, Gastown, Vancouver Desigual, We ship Desigual in Canada. Bookmark the permalink.